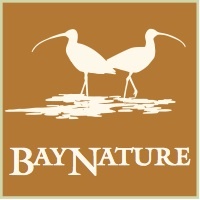 BayNature.org is the product of Bay Nature Institute. Based in Berkeley, this charitable organization is dedicated to educating the people of the San Francisco Bay Area about, and celebrating the beauty of, the surrounding natural world. We do so with the aim of inspiring residents to explore and preserve the diverse and unique natural heritage of the region, and of nurturing productive relationships among the many organizations and individuals working towards these same goals. BayNature.org is an online gateway to experiences in the natural world of the San Francisco Bay Area, with a brand new Trailfinder and park search, fresh stories and videos every week, a comprehensive regional nature events calendar, all Bay Nature magazine content, a directory of local organizations, and more! Visit BayNature.org to pick your perfect trail, discover local guided hikes & outings, browse nature events or ask a naturalist a question!